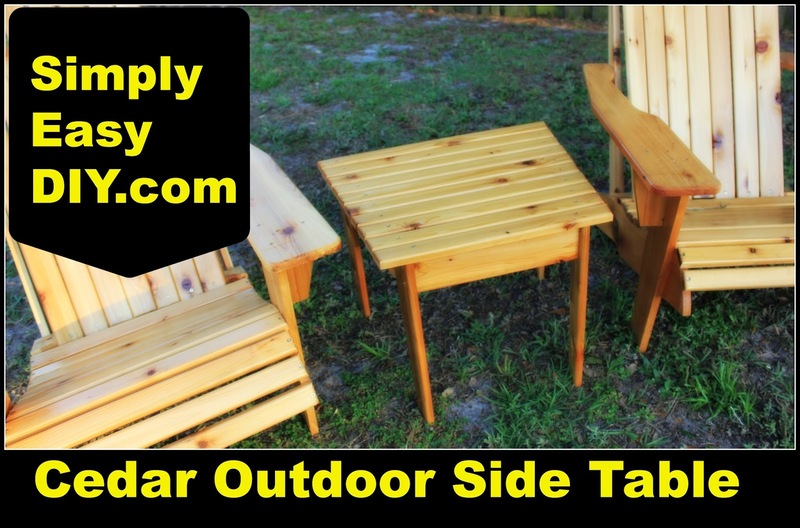 Cedar Adirondack Chairs. It has been a great project. It pushed me, made me think, tried my patience and gave me a great sense of satisfaction. I learned a lot about what made for a comfortable chair. The easy route would have been to just find some ready made plans and purchased them. However, that would not afford an opportunity to ask questions. If you do not ask the questions, then you certainly will find no answers. Sometimes you have to ask yourself the hard questions. Do I want this build to be quick and easy? Do I want this build to make me better for having done it? If I would have answered yes to the first question, then I most certainly would have built the chairs differently. The word easy is an attention grabber. Everyone wants easy. Even this website I named, Simply EASY diy. However, I did not throw the word easy in the name because I felt that is what the projects I choose to feature were going to be. I did it to signify a choice. Choosing to push yourself, learn things you may not know and be better at the end of the day than you were at the beginning, should always be an easy one. I could have built a square side table. A few cuts here. A few more over there. Done. However, my belief is if your going to do it yourself; take a step away from easy and add a simple layer of complexity to a project. It can add so much to the end result. In the case of this cedar Adirondack style side table, a simple 10 degree angle is all it took to add a more inviting look to the whole set. 4 - 1x4's @ 17"
1 - 1x4's @ 19-1/2"
1 - 1x4's @ 13-1/2"
Be sure to check me out on YouTube, Facebook and Pinterest. You can find those links in the side bar at the top of the page. I love to see projects that others have done so visit my contact page and shoot an email. Lets admire your good work together. Remember to have fun and happy DIY'ing.